First Day Back: A surprising number of us were ready to get back to calligraphy. 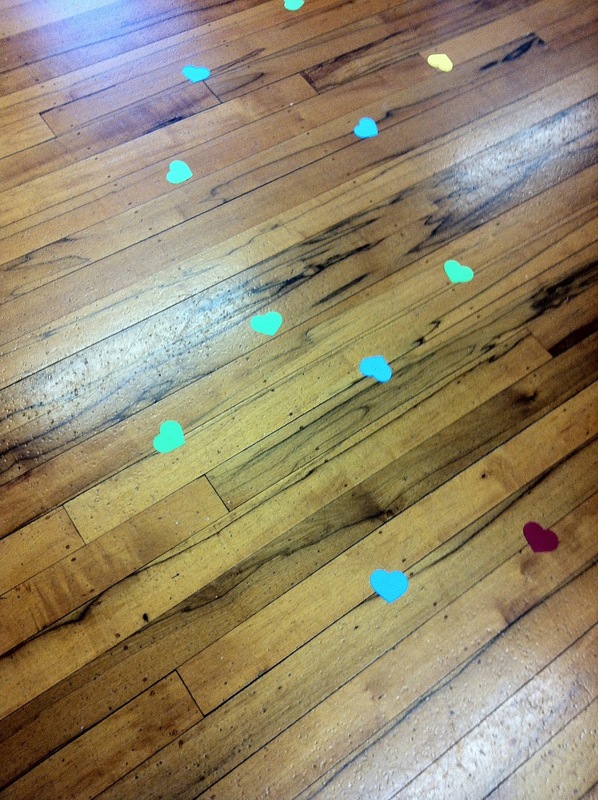 Jan Leonard started us really easily by sprinkling some shapes on the floor, I wonder what came next? Then there was a run through the basics and some practise moving letters around with a quote or two. We have homework too and it looks interesting. Jan gave us all a small folded shape and we are to write on a 5cm square with appropriate lettering and bring back to the next meeting, 6.30pm March the 5th at Windmill Road. They will then be exchanged. There is a small charge for this evening, cost for members is $10. Then we will be under Jan's instruction for the next installment, this one is flourishing, see the earlier post on February 6th for more information. 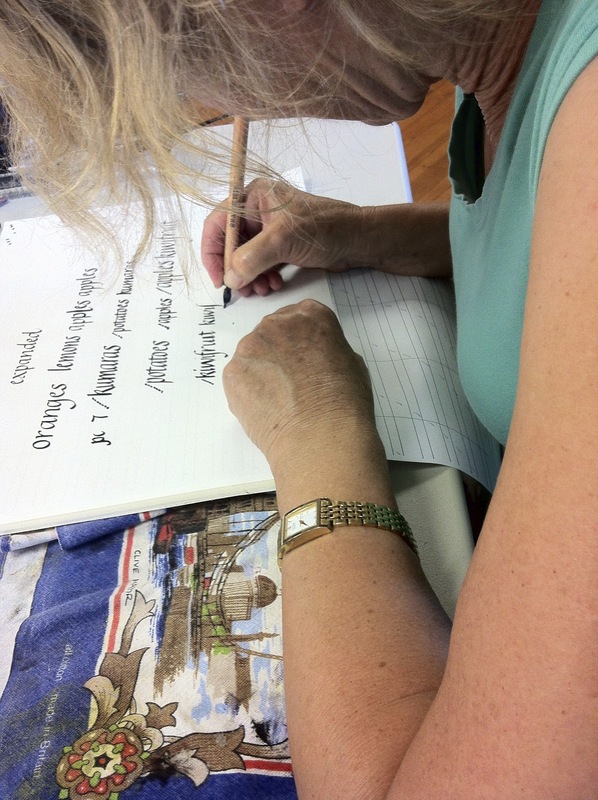 Barbara with her pen and paper on the first meeting of the year.